Hon. 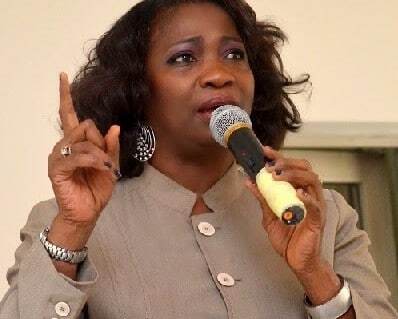 Abike Dabiri-Erewa, Senior Special Assistant to the President on Foreign Affairs and Diaspora has urged all Nigerians to take advantage of the first ever Diaspora offer by buying into the bond. The Debt Management Office (DMO) had announced the commencement of a global offering of Nigeria’s first Diaspora Bond by filing a registration statement for the bonds with the U. S. Securities and Exchange Commission. Dabiri-Erewa gave the advice in a statement issued by her Media Assistant, Abdurrahman Balogun, saying the Diaspora bond will be used to raise funds from Nigerians in the Diaspora to finance capital projects and provide an opportunity for them to participate in the development of the country. She said her office as well as the Nigerians in the Diaspora was excited as the first ever diaspora bond is being rolled out to the benefits of Nigerians. The SSA said it was a unique way of lubricating the interest of Nigerians in the Diaspora to participate in the developmental projects being carried out by the Muhammadu Buhari administration. The Minister of Finance, Mrs Kemi Adeosun had in February promised that the Diaspora bond will soon be rolled out by the DMO. The DMO had said that application would be made for the bonds to be admitted to the official list of the UK Listing Authority and the London Stock Exchange Plc. The office said this was to ensure that the bonds were admitted to trading on the London Stock Exchange’s regulated market. “The bonds will be direct general obligations of Nigeria and will be denominated in U.S. dollars. “The international Joint Lead Managers are Bank of America Merrill Lynch and The Standard Bank of South Africa Limited. “The Nigerian Joint Lead Managers are First Bank of Nigeria Limited and United Bank for Africa Plc,’’ it said. The DMO added that there would be a series of investor meetings in the UK, the U. S. and Switzerland from June 13. The office said that pricing was expected to occur following the investor meetings and subject to market conditions. As part of measures to fund capital expenditures, the Federal Government had in February announced its offering of one billion dollars euro bond under its newly-established one billion dollars Global Medium Term Note programme. Dabiri-Erewa said: “We are very excited that the National Assembly has approved the Diaspora Bond. We believe Nigerians abroad want to support development in Nigeria and such would be glad to invest in it.